Professional Hair Salon in London, St John’s Wood. Our North West London hair salon is conveniently positioned in delightful St John’s Wood High Street. Joshua Altback has cultivated a specialist haircare and beauty treatment team that are renowned for their outstanding technical knowledge and creative abilities. Combining a unique and personal service with a wealth of experience, our hair stylists and beauty therapists provide all of their clients with the very best service in London. We are experts in cutting, colouring, Brazilian hair straightening, hair extensions, hair–up for events, parties and bridal and wedding hair as well as other beauty treatments. At Joshua Altback Haircare and Beauty, we take pride in providing every one of our clients with an exceptional salon experience and haircare and beauty treatments they absolutely love! Our London hair salon provides a comfortable and relaxed space for you. Come and see us and know you are in good hands. Come and meet our stylists and colour technicians who are recognised as some of the top creative talents in the UK and experience our modern and relaxed approach to unisex hair and beauty. We invite you to come and see our two beauty rooms which offers everything from CACI face and body lifting, Guinot facials, to waxing and manicures all done in a personal and friendly atmosphere. The team at the Joshua Altback Hair & Beauty Salon has over 25 years of combined experience in delivering stylish and premium services to happy clients from all over the UK. With each member of the team possessing extensive knowledge on the best equipment and products to use to ensure that you get the cut, colour, style or beauty treatments that you are looking for! Our styling team has many years of experience, whether you are after the timeless classic or the latest fashion-forward hair style, we have the hair stylist for you. Speak to a member of our team and we will match you and your hair to the perfect Joshua Altback stylist. Our very own Joshua Altback has over two decades of experience in the haircare industry, so it is safe to say that you are in the best hands when you visit us in our St Johns Wood salon. All of this combined is why we come so highly recommended not only by our clients but also by ‘Get The Gloss’ as one of the top hair salons in the UK. 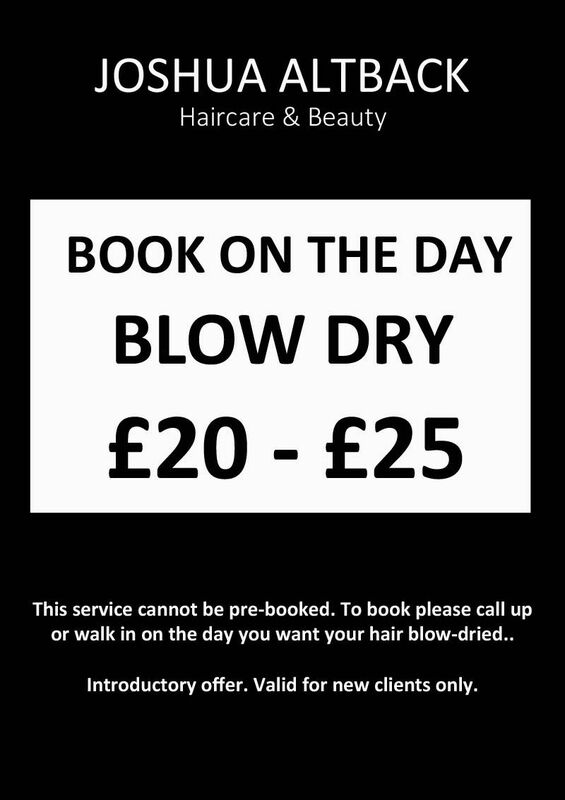 Get in touch today through our website or drop by the salon to book your next appointment.